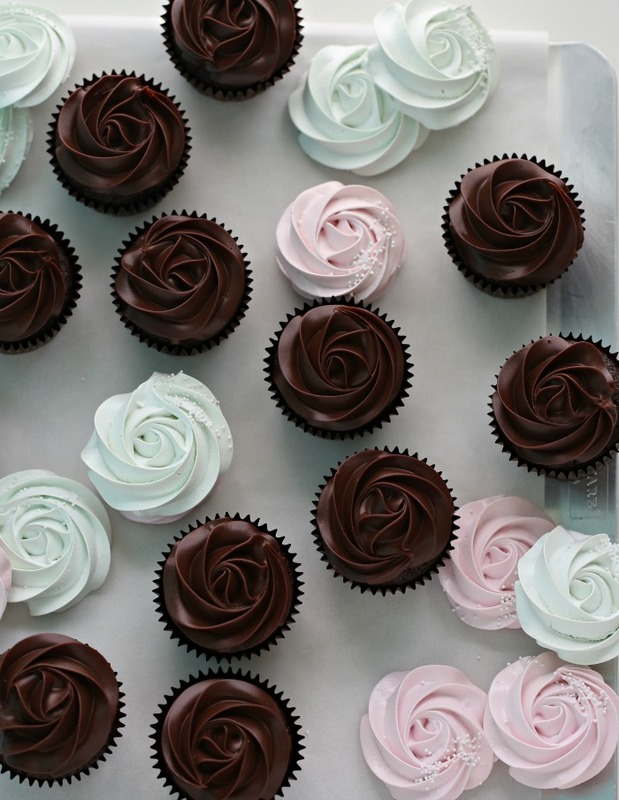 These chocolate cupcakes, are the moistest cupcakes you will ever taste. They are easy to make and I love to top these with ganache rose. 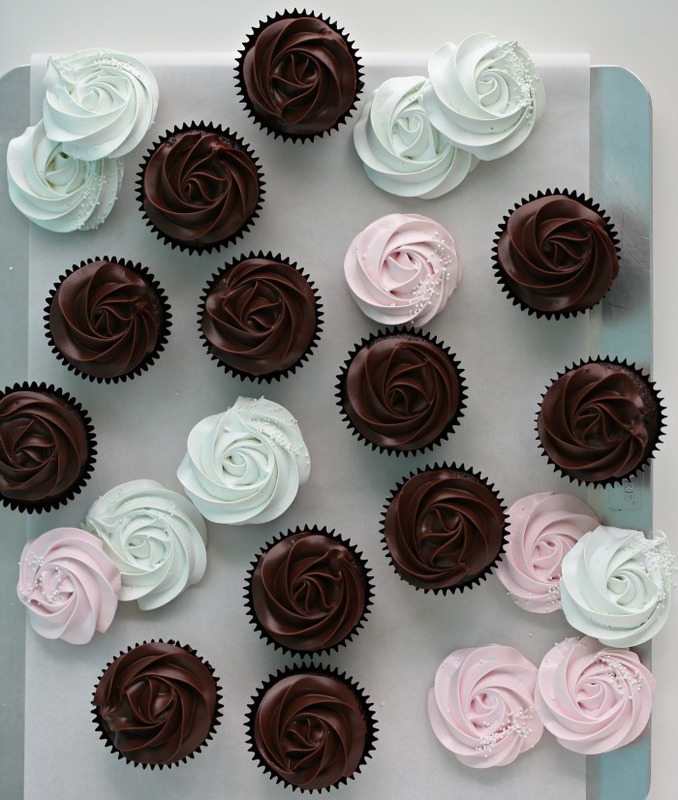 Watch the video below, how to make these cupcakes, I think you are going to love these. Preheat the oven to 330 °F (165 °C). Line one or two cupcake trays with 18 paper cases. Sift in the flour mixture in two additions, alternating with the water, and stir everything together until well blended. Divide the mixture between the paper cases, and bake on the middle rack for 20-25 minutes, or until a cake tester comes out clean. These look absolutely amazing! I have heard of mayonnaise in cakes before but I’ve never tried it, so i think now is the time. I can’t wait, i am a total chocoholic. Best, chocolate cakes ever. I tested many over the past weeks and these were by far, the most moist, flavoursome and consistently delicious. I was very sceptical about the mayonnaise but my doubts were quickly quashed once I did the taste test. Fantastic!!!!!! Hello is it ok not to use majones and coffee for this recipe? What do You mean by “tepid strong coffee” ? Excited to make these with your ganache! Veg mayo wI’ll work ot not? And what king of any u hv used. ? I made these last night, shared them with 15 different people and they all loved them! Highly recommend these – the ganache is so delicious and smooth. Quick tip for anyone trying the recipe: taste test your mayonnaise to check how salty it is. (Mine was very salty- I shouldn’t have added the 1tsp of salt). 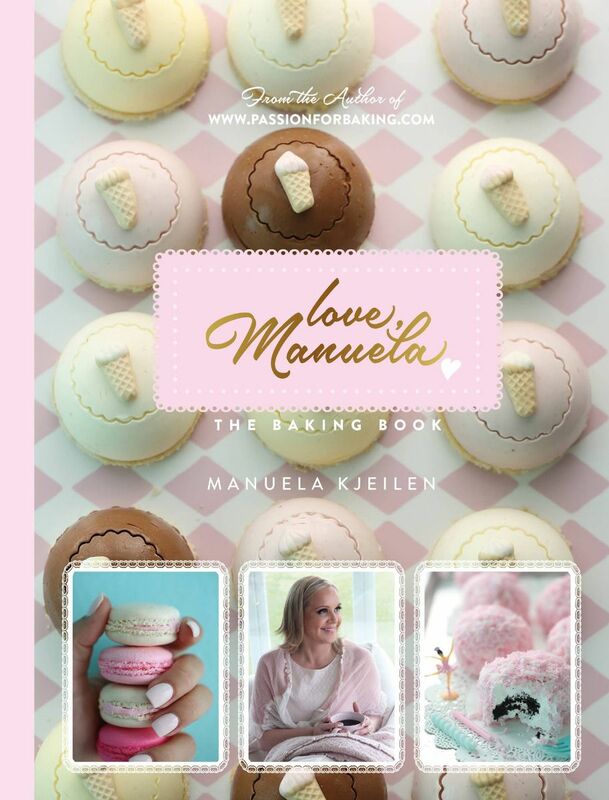 Thanks Manuela for a great recipe! I want to make the chocolate cupcakes but i want to replace the mayonaise for sunflower oil, how much sunflower oil do i have to use then instead of the mayonaise? Your blog and youtube series are amazing by the way! And everything looks so delicious, so you have my compliments!